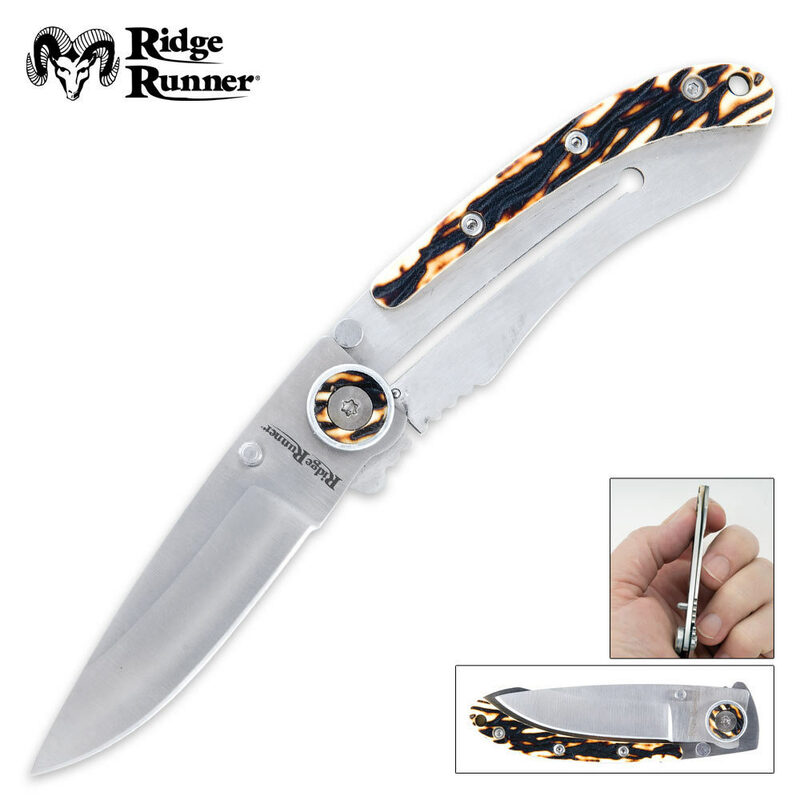 Ridge Runner Slim Bone Pocket Knife | BUDK.com - Knives & Swords At The Lowest Prices! This 6” folder is great for someone who doesn't like a lot of junk in their pockets. You'll never even know its there at 3 1/2” closed, you'll only know its there when you need it. I love this knife. It is so easy to have in your pocket and to use. The one hand opening feature makes it perfect for me. This is quite the knife. It is very sharp and if it wasn't sometimes dangerous to shut I would have given it 5 stars. I like how thin it is I also like the added touch of the Stag Bone. I have bought some of these to give away to my customers. Really convenient and stays sharp. Don't get in a big hurry opening the knife because you could slice your finger. She's a keeper though. I always carry it. An attractive knife that always seems to get comments like, "Let me see that thing!" Just be sure you get it back! 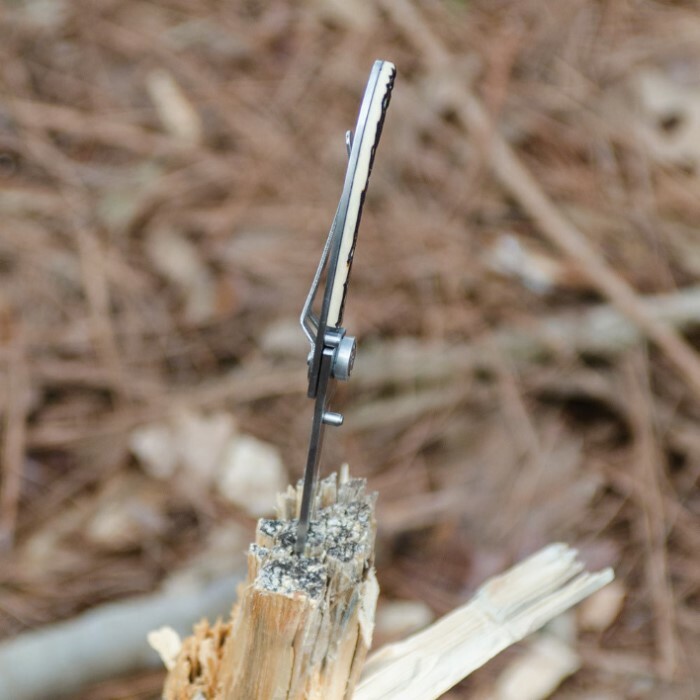 Buy one or two; if you carry a pocket knife, you'll really like this one. This is going to be in my pocket everyday, the slim profile is perfect for me. I also like that is only $7 and if I break it I can just buy a new one. Not like some of my more expensive knives that I'm afraid to look at lest they get scratched. Okay the plastic that is supposed to look like bone really doesn't look like bone at all, in the picture it has a nice burnt bone look but it's really just randomly grooved plastic with black paint but I didn't get this to look at I got it to use. Love the different shape and overall great knife for the price. If your thinking about it just get it! This is a very nice knife for the price.Knives of similar design cost five to ten times more.This will be one of my everyday knives. I realy like this knife. It fit my pocket very nice, not bulky. I am a mechanic so I'm not gentle with my knives. This one passes the test.